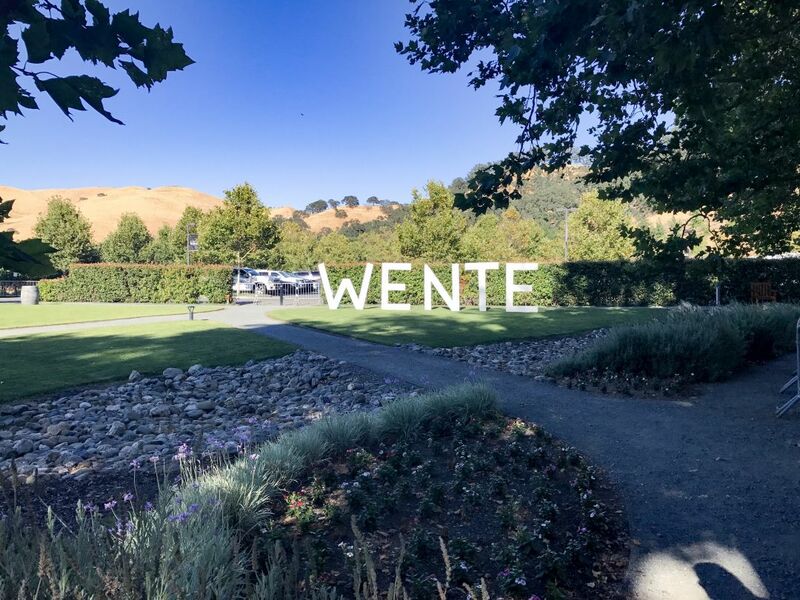 Wente Vineyards in Livermore, California run a series of summer concerts. California Girl and I were fortunate enough to attend the second of this year’s series: Alanis Morissette. 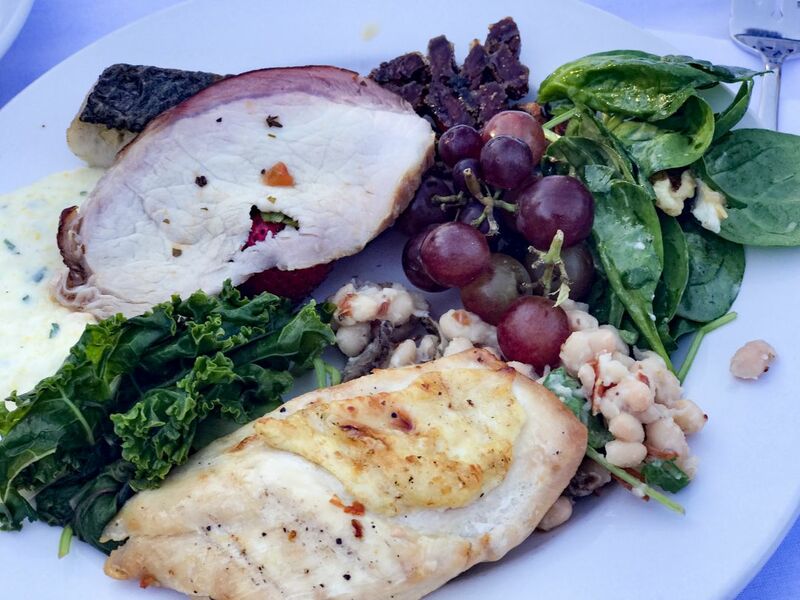 California Girl and I share a love for wine and food, as testified by this blog. We also love music but have very different tastes. When we first met, back in the days when people bought music on silver discs, we had just three CDs that we could both listen to and enjoy. That trio was Sheryl Crow’s eponymous second album, an Eagles compilation, and Jagged Little Pill by Alanis. We knew the words of all of the songs. 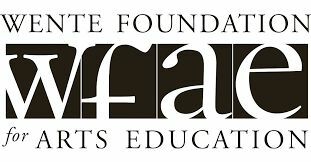 Nearly twenty years later, it was apparent that we still did. California Girl comments: Ok, I am going to own it here, I was doing the whole fan girl thing. I don’t think you could be a woman of my age and NOT love Alanis. Her songs resonate. I was really excited to go. 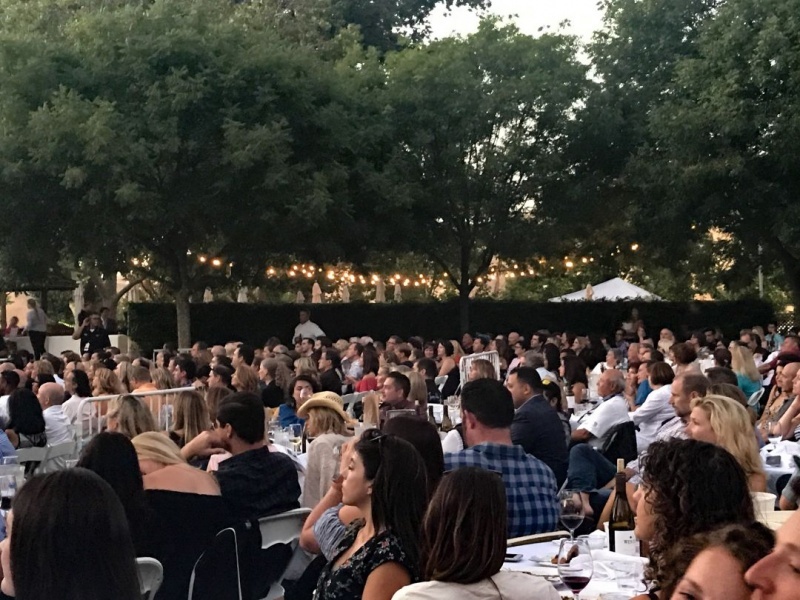 Great music, beautiful venue, food, and best of all delicious wine! I felt like a crazy audience member at “The Price is Right”. Pick Me! Pick Me! California Girl Comments: It was really amazing to see people bidding for this ginormous bottle of wine. Everyone was having a good time doing it and I am so glad it went for such a worthy cause. The Brit was standing on my feet and hid my bidding card during the entire auction. Can you believe that? 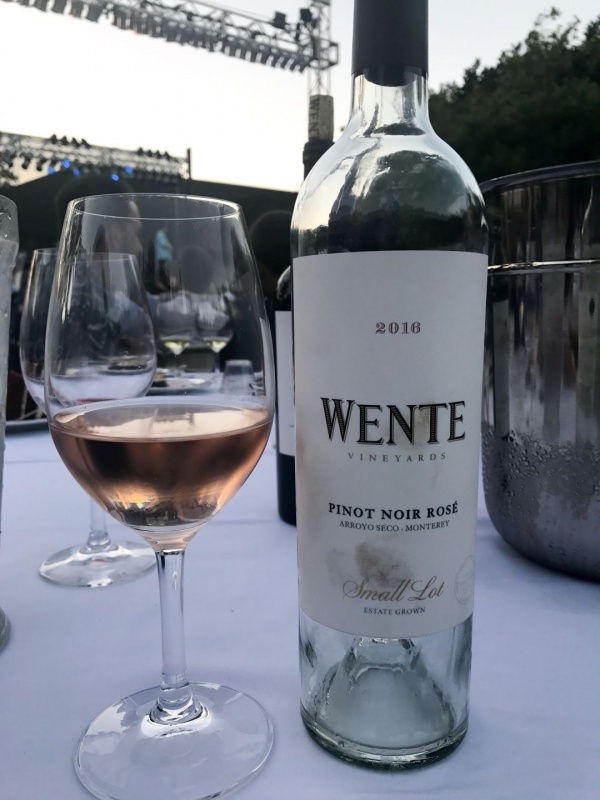 We arrived a little early and went to the tasting room where we tried two very different rosé wines, which showed it is not only on the subject of music that California Girl and I differ in taste. The first rosé was a blend of equal parts Tempranillo, Nebbiolo, and Mourvedre. The wine spent thirty-six hours in contact with skins, which gave it an intensely dark shade. The nose was of strawberry and leather. In the mouth there was excellent acidity and a robust flavour infused by raspberry. This is a wine that would pair well with a wide range of foods. California Girl comments: I liked both of the rosé styles of wine that were served. This particular wine is what I like to call lush. Rich and fruity reminding me of barbecues and warm nights with friends. It is easy and uncomplicated. The second rosé was 100% Pinot Noir. It had spent the same amount of time in contact with the skin as the first wine, but this one was a pale blush. The nose was restrained, with the merest hint of strawberry. The wine was crisp and light with melon tastes; an ideal summer patio sipper. This wine was California’s Girl preference, whilst my vote went to the first rosé. California Girl Comments: Whilst I liked the first rosé, it was this one that spoke to me. This is far more elegant and refined reminding me of fine French style wines. I would have loved to pair this wine with just simple cheese and fruits for a light but wonderful meal. We were sat at a table in front of the stage. Between the stage and the tables were several rows of chairs which were occupied by people who dined at The Restaurant at Wente Vineyards before the concert. The tables were large and set up for ten-twelve people. Our table had an ice bucket with a bottle of Riva Ranch Chardonnay and the Rosé of Pinot Noir. A bottle of the Riva Ranch Pinot Noir and Charles Wetmore Cabernet Sauvignon completed the wine options. Dinner was a buffet just outside the concert area. It is worth noting that the tables had been carefully placed so that was adequate space to move between them on the way to and from fetching food. California Girl comments: The food was surprisingly good considering it was served buffet style. Everything was fresh and tasted delicious. My plate consisted of chicken, salmon, and pork loin with salads and a spiced polenta. It was all very tasty. It was the dessert, however, that was the best part. They served two options. 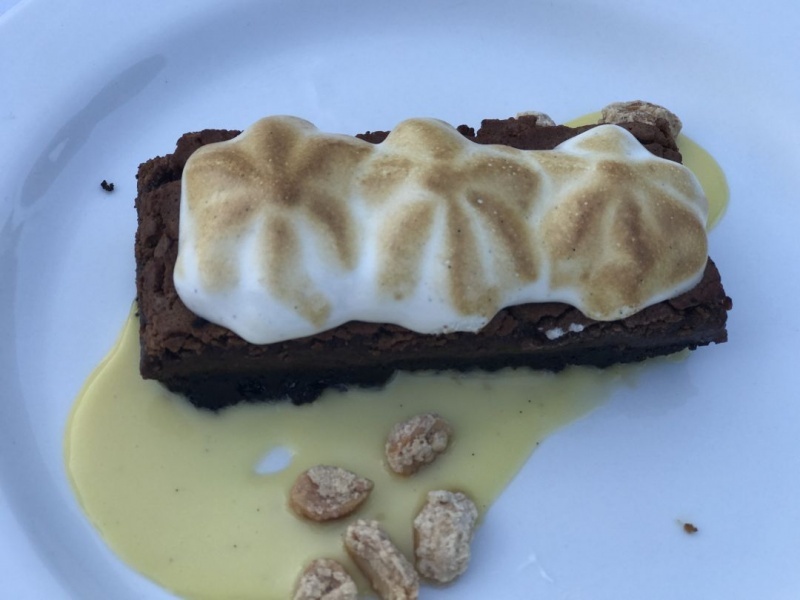 A S’more brownie with a vanilla sauce accented with candied Graham cracker chunks and a naked carrot cake with cream cheese filling accompanied by caramelized pineapple compote. 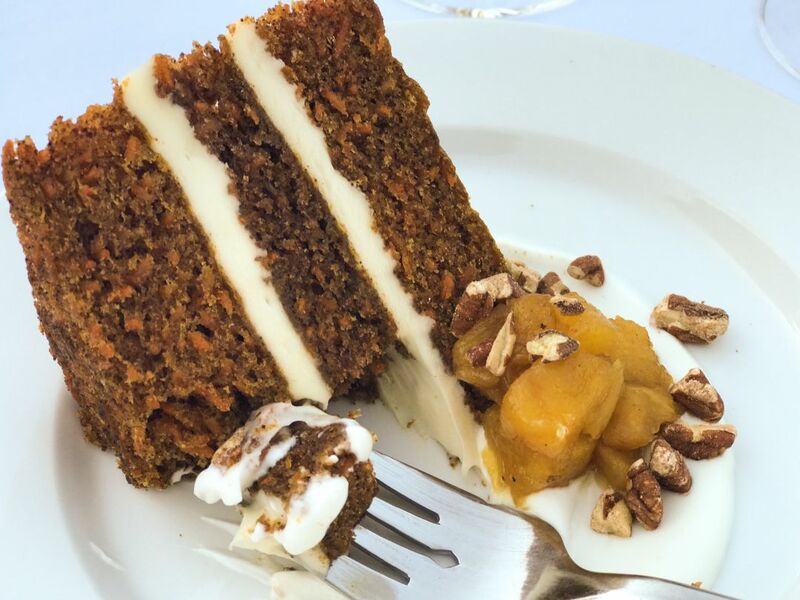 Holy cow was the carrot cake good! Usually, with dessert, I take a single bite and just move it away. This was oh so good. Mmm! I think I ate more than my fair share of the piece I shared with The Brit. We had a couple of hours to enjoy the food and the wine before the concert started. 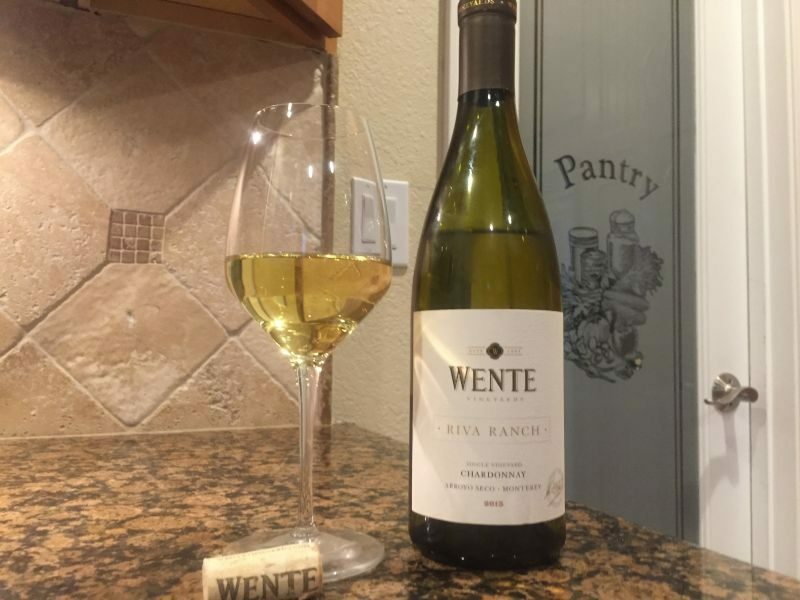 On a summer’s evening chatting with the people at our table the Riva Chardonnay about which I wrote in March was in its element; a well-balanced and enjoyable wine. On this occasion, I found a slight spice in the finish that I had not found with that earlier bottle. I can repeat my recommendation that if you enjoy oak and butter as part of the flavours of a Chardonnay, but do not want those as the only elements, then this a good choice. California Girl comments: The Chardonnay was perfectly paired with the food we ate. The slight oak and vanilla tasted great with the all of the components on my plate. It’s a nice all arounder and crowd pleaser. The concert format was straightforward and unflashy. Two guitarists sat either side of Alanis Morissette, who was perched on a bar chair. She sat there all night, occasionally crossing one leg. The focus was on her singing and the music. This was helped by good acoustics and a sound balance that ensured the vocals were clear. 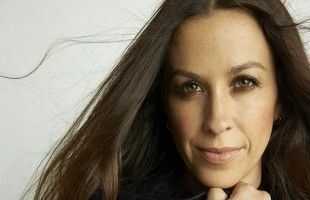 I admit that we were not familiar with the songs that she had written since Jagged Little Pill, but there was a heavy focus on the songs from that album. 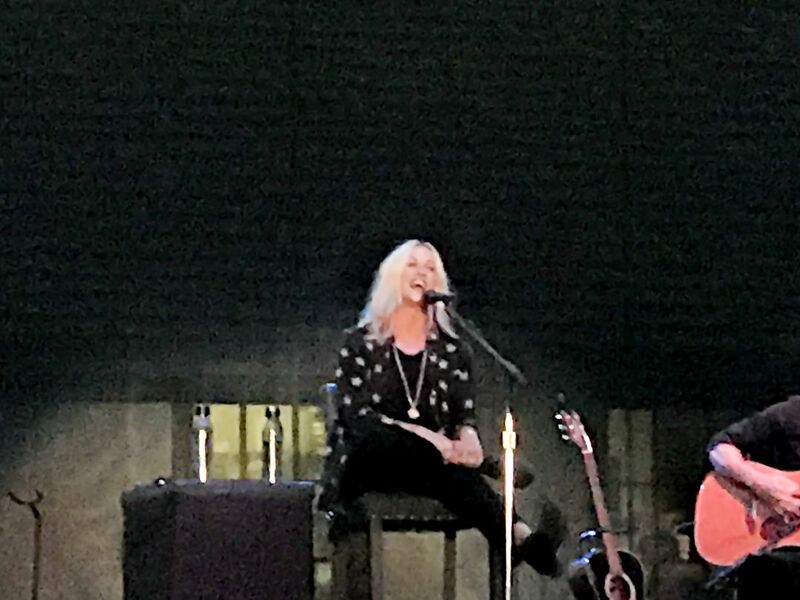 For a performer with over twenty years of experience, she seemed oddly nervous on stage as she chatted between songs, but Alanis came across as genuine; there was no artifice in the way that she talked. California Girl comments: I loved this venue. It was personal, the music was played at the perfect sound level, and it was just plain comfortable to be there. We were lucky with the weather and that the temperature cooled to the perfect balance of not too hot or cold. I would say that the entire concert was just right. Which did mess with the rhyme and threw out all of those singing along. It was clear that we were not the only people who knew the song by heart. Alanis Morissette skipped the whole encore charade, by explaining that this was the time of night when to thunderous applause she would leave the stage, wait in the wings, and then run back on to play two more songs. She asked if we could just assume that had happened before launching into the last two songs, starting with Jagged Little Pill. California Girl comments: She was really funny and sarcastic. She offered to wait until everyone finished screaming if they felt the need before she continued with her “encore” songs. It was obviously wonderful to see one of the three musicians that provided the soundtrack to our early years; we saw The Eagles in Las Vegas back in 2014. The beauty of the venue and the well-organized event just made the evening even more memorable. 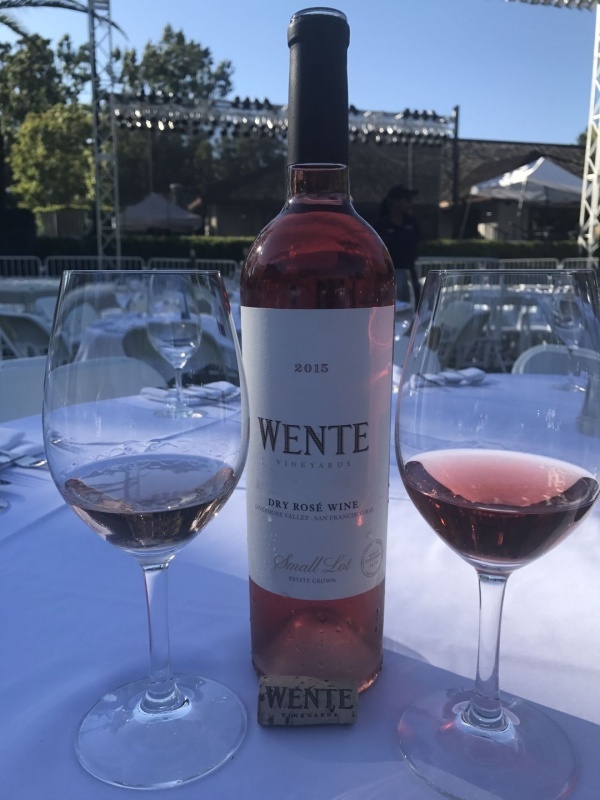 We would highly recommend that you make plans to attend a concert at Wente. The concerts still to come this year cover a wide range of music; including Kenny Rogers, Toto, and Smokey Robinson. Given my love of bad-jokes, I think it is ironic that I wrote over nine-hundred words about wine and Alanis Morissette without making a black-fly in my Chardonnay joke.